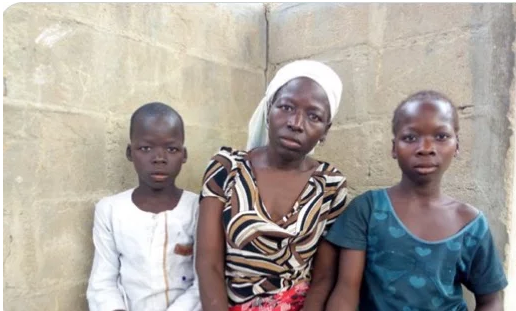 Christians being targeted in Nigeria by the Fulani herdsmen, mostly muslim who dragged this mother and forced to watch husband butchered by jihadists. She herself tortured. Has Anyone seen this in Any Mainstream Media Source local or national? I'm genuinely curious. Sending out feelers on other platforms. This woman targeted just as others are in Nigeria. So sad. Please, Please pray for these people. The church leaders said that "over 6,000 persons, mostly children, women and the aged have been maimed and killed in night raids by armed Fulani herdsmen," which is prompting their cry to the government of Nigeria "to stop this senseless and blood shedding in the land and avoid a state of complete anarchy where the people are forced to defend themselves." It was recently reported on the Gateway Pundit that 120 Christians have been killed since February in attacks by a militant group known as the Fulani herdsmen who are mostly Muslim. “What we have is a genocide. They are trying to displace the Christians, they are trying to possess their land and they are trying to impose their religion on the so-called infidels and ‘pagans’ who they consider Christians to be.” human rights lawyer Emmanuel Ogebe told CBN News in an interview. WHERE IS THE MEDIA COVERAGE?? WHERE IS THE OUTCRY?? In this week’s attack in Maro, the Fulani herdsmen also reportedly damaged church buildings and property. And the Evangelical Church Winning All (ECWA) reported that many of its missionaries working among the area Adara and Katari ethnic groups have been displaced. Please keep these families in your prayers and pray for comfort for those who have already lost loved ones and have they themselves endured the torture. Stay Safe Fine Patriots! Godspeed!